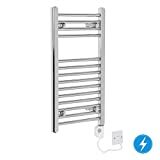 A heated towel rail is the best way to ensure you have nice warm dry towels to wrap yourself with after showering. You get a luxurious fantastic feeling after stepping out of the shower and covering yourself with a warm towel. This is more so throughout the winter months when it can be chilly as you get out of the bath. And because towels are dried very quickly the potential for bacteria to grow is eliminated. You will no longer have to deal with smelly wet towels. 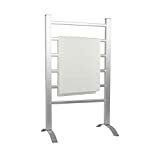 Dry warm towels are not the only results from investing in a heated towel rail. 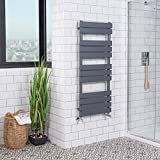 Because these bathroom items have exceptional looks, you can use them as decoration pieces in the bathroom and integrate them into the overall look you want to achieve. 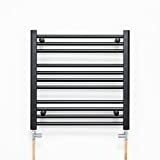 You can find heated rails in many different shapes, sizes, colours and price ranges. The key to buying a model that is right for you is by first stopping and thinking about what your exact needs are. You need to ask such questions as; do I just want my towels warmed or do I want to heat the bathroom as well? Do I have the space for the model I want? Do I have the budget for the model I want? 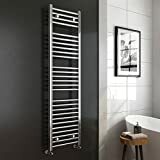 These are some of the questions you need to answer before diving in and buying the first electric towel rail you come across. 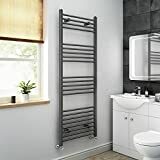 If your bathroom is quite big and the current radiator is not doing a good enough job of heating it, then you might consider boosting its usefulness with the addition of a heated towel rail. If you decide you want this feature, make sure that you get a unit that is powerful enough to accomplish the job. 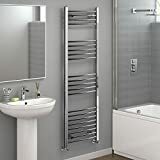 You do this by looking at the towel rails British Thermal Unit or BTU. This is the way of measuring heat output. The higher the BTU the higher the heat output you are going to get.